One of three major components of the 2019 Next Level Music Industry Program is a Songwriting Contest. Sonoma County songwriters are invited to submit a demo track to be considered for the opportunity to have the track workshopped and re-recorded with a backing band drawn from Nashville’s finest musicians. 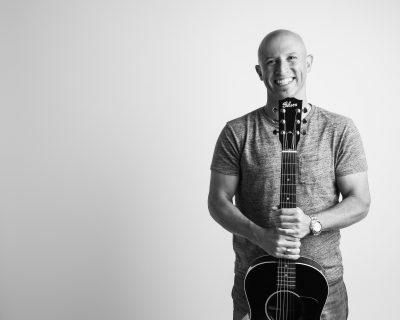 Local songwriter and producer Cliff Goldmacher (see bio below) will work one-on-one with the selected songwriter to reshape the original song, record the track, and lead a remote recording session. The final remote recording session – occurring simultaneously in Nashville and Santa Rosa – will take place during a live, real-time webcast at the Next Level Conference on February 10, 2019. ANNOUNCEMENT: The winner of the contest and 20 Semi-Finalists are announced HERE! NOTE: If you, as a songwriter, are not a proficient singer, you must identify a singer who will perform the winning song as part of your entry form. The singer will also need to be available for select studio sessions with Goldmacher and for the Conference on the above dates. All entries must be submitted online via the Creative Sonoma Submittable account (creativesonoma.submittable.com/submit). If you do not have one already, you will be required to create a Submittable user account. The Next level Songwriting Contest Entry Help Tool as a guide to all of the questions the online entry form, with tips on how to complete them. Once you are ready to begin your entry, click the black Submit button. Cliff Goldmacher is a multi-instrumentalist, chart-topping songwriter and tri-coastal producer whose credits include collaborations with Keb’ Mo, Lisa Loeb, Mickey Hart, Mindy Smith, Ke$ha and more. Nashville musicians for the remote recording session will be drawn from Goldmacher’s extensive network of great players including band members for Bonnie Raitt, Kelly Clarkson, Taylor Swift, and the Grand Ole Opry. Return to the 2019 Next Level Music Industry Program homepage.